Showcase Events Inc is one of California's premier producers of quality consumer events and since 1988 has hosted consumer shows in Portland, Oregon, the San Francisco Bay Area, and the California Central Valley. In 2001, Steve Tarter and Alan Hurley assumed ownership and have continually worked diligently to enhance and further the growth of their ongoing events. Our current events include the two premier Home Shows in Tulare and Kings County - the Visalia Home & Patio Springfest (February) and the Visalia Home EXPO (September) held at the Visalia Convention Center. Our marketing philosophy is straightforward and focused on one primary objective: To bring qualified, motivated home owners face-to-face with a diverse and upscale line of home-related products and services. We strive to provide consumer information as well one-stop shopping at all of our venues. For each event, we combine corporate, charity and media sponsors with an aggressive media campaign which includes television, radio, large newsprint display ad, and local publicity. Showcase Events Inc based in San Francisco, CA., is a proud member of the National Association of the Remodelling Industry (N.A.R.I.) 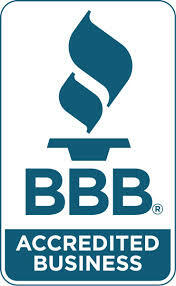 and the Visalia Chamber of Commerceand works in tandem with the Better Business Bureau of the Central Valley.